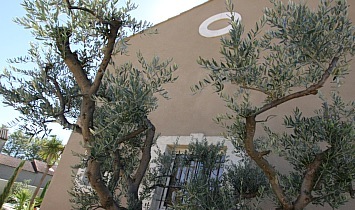 Clos des Oliviers welcomes you for dream holidays in a magically beautiful corner of Provence. Situated less than 10 minutes walk from the historic centre of Saint-Rémy-de-Provence in a quiet wooded environment, this recently built Mas provides an ideal holiday setting. You will enjoy resting and refreshing yourself by the pool. You will love the garden and its typically Mediterranean plants, whose fragrance will accompany your mornings and evenings. Clos des Oliviers Can accommodate up to 10 people !